This spring there will be a spectacular quilt exhibit at the Victoria and Alberta Museum, Quilts 1700-2010. For those of you lucky to attend this event and extra time in England, I have a recommendation. 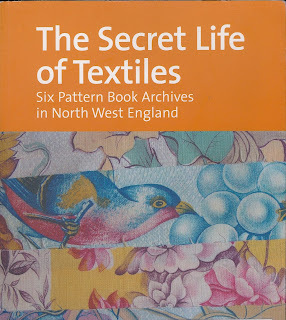 Pattern books were compiled by many English textile firms during the 19th and early 20th centuries. A 1998 survey found thousands of these treasures in the museums and libraries of North West Britain. I recommend Mr. Sykas' book as a guide. Then get out the map and make an appointment. For those of us who are 'armchair' travelers, the book itself is a wonderful source of historic design and style.